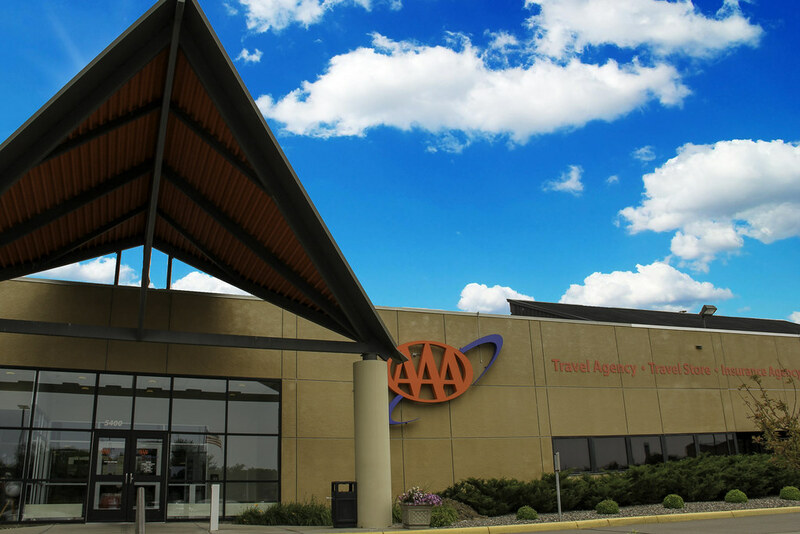 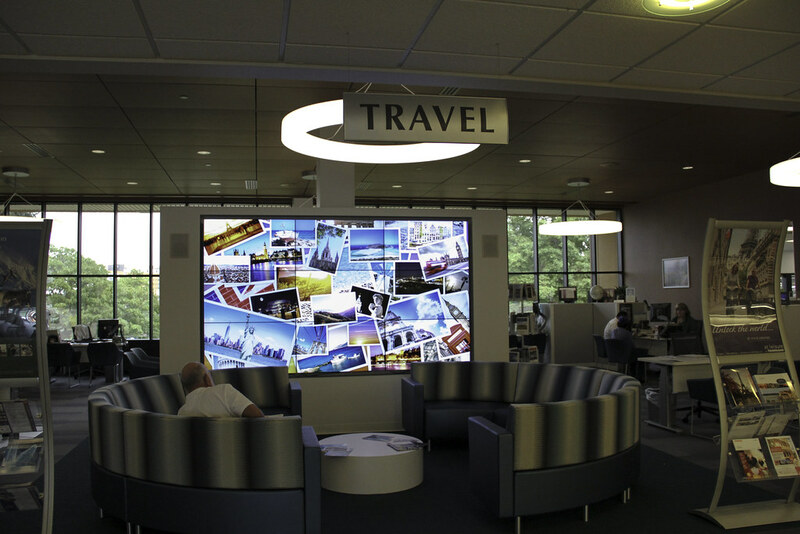 AAA Travel Services wanted to offer guests a dynamic experience in the travel lobby with a digital signage solution with a "wow-factor" for both staff and visitors. 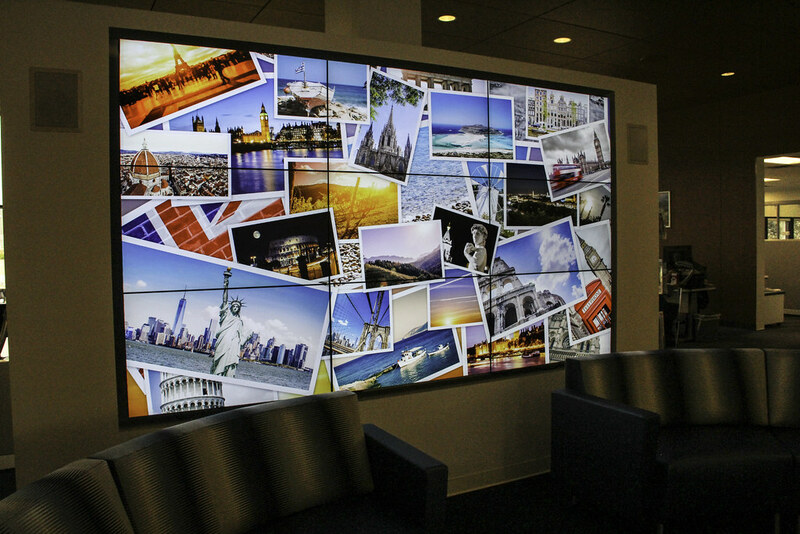 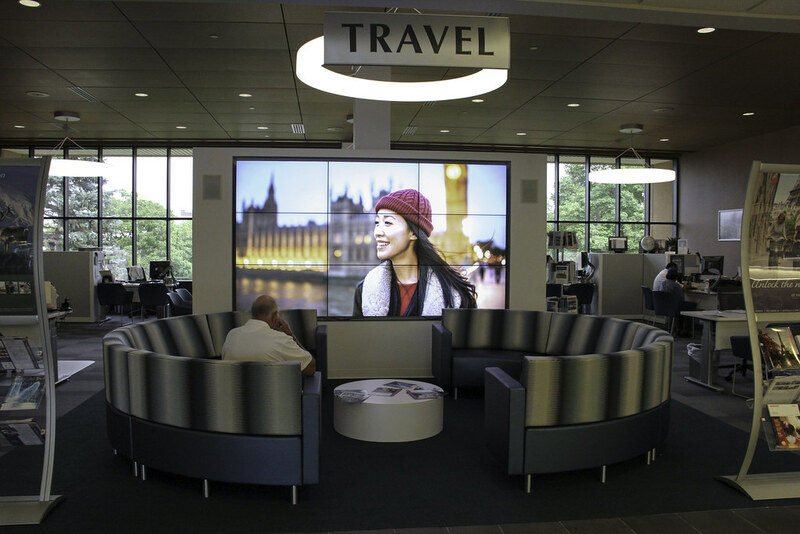 AAA added a digital video wall to the lobby of their St. Louis Park location to give guests an entertaining and dynamic experience while they wait. 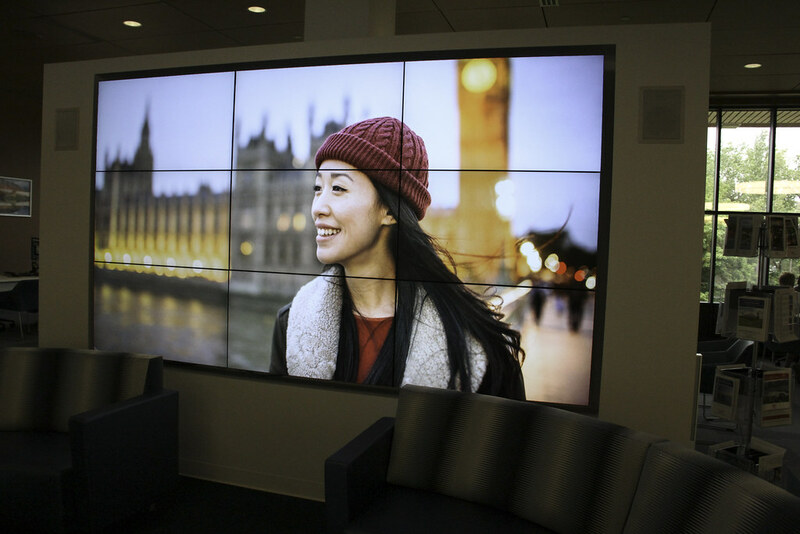 The 3x3 video wall consists of nine 46” NEC display panels. 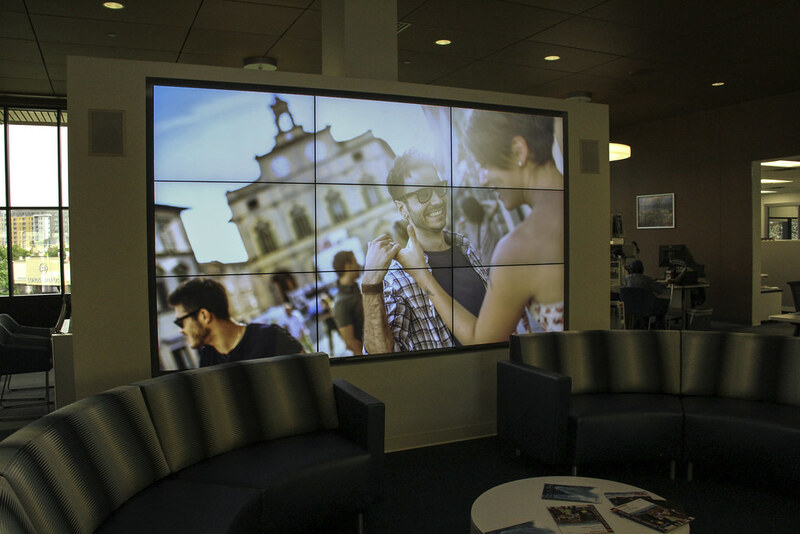 For sound, the video wall includes two wall-mounted speakers. 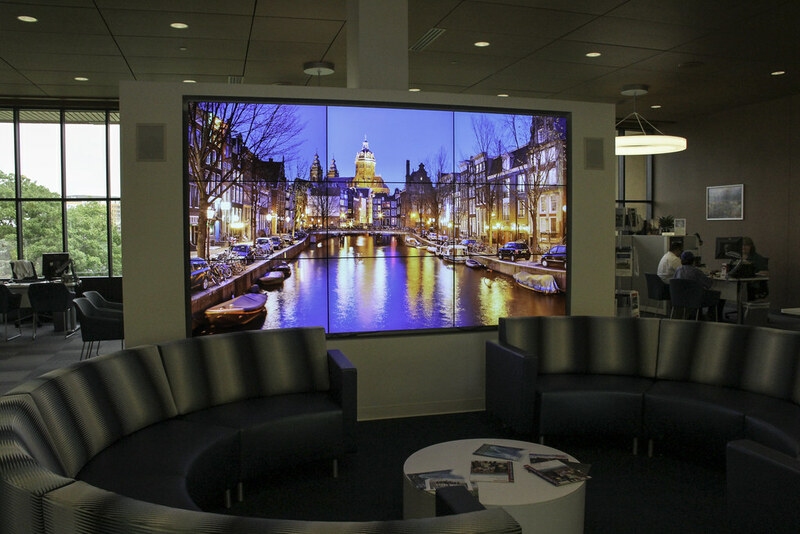 The display offers guests a viewing experience to enjoy while waiting for representatives. 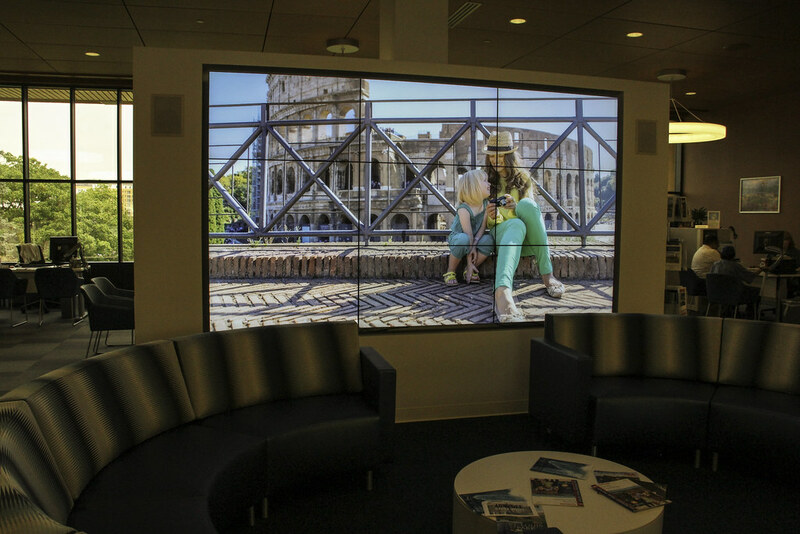 The digital signage addition brings a sense of adventure and excitement to the lobby.